This article will go over adding new users into Fergus and setting them up. Once everything looks good, click Save and the new user will appear in the Users list. Change this user's user type, login, password, and First and Last name. Click the options button (⋯) to disable this user and view the activity log for this user. Click the pencil icon or Edit Avatar to change this user's avatar. 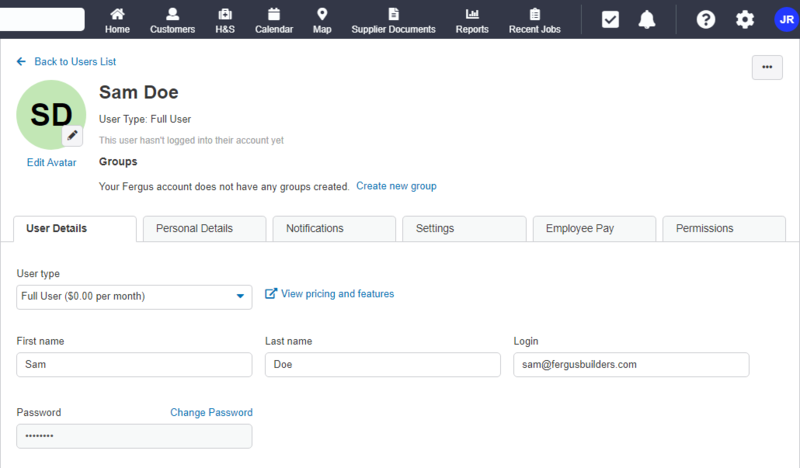 See Adding and Managing Groups for information on adding this user to a group. Add this user's contact details including Email address, Mobile Phone, and Address. Click the + to add additional contact details. You can also view this user's signature. This setting determines whether or not this user will appear in the scheduling calendar. 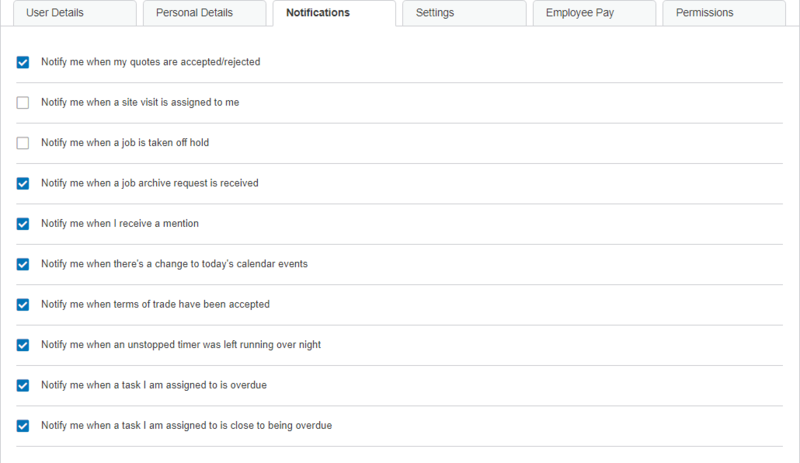 If this is unticked, you will not be able to schedule jobs for this user. Unticking this option prevents anyone from assigning jobs to this user. 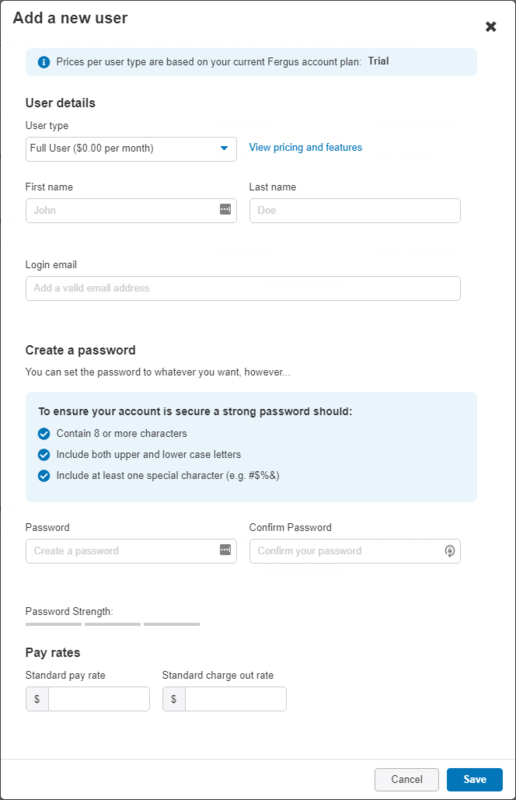 Making this user a Master Admin will let them change other users' passwords, permissions, and make other users Master Admin Users. Usually only the business owner needs this ticked. If this option is ticked, moving your mouse over each status in the Status Board will show more detailed help text. Change this user's standard pay rate and charge out rate. You can also enable Pay Rules for this user.